Build better bonds with the important people in your life. 1. Have a daily routine with your partner. Relationships sometimes suffer because couples hardly see each other anymore, much less talk. Set aside time daily to talk about each other's day. It can be as brief as five to 10 minutes, but the effects will be great. Make it a tad more romantic and add some wine to the mix. 2. Give your parents a helping hand. It's one of the many fears of parents that they would be abandoned by their own children and left to fend for themselves in their old age. When you pay them a visit at your childhood home, why not help them out with some chores? Offer to go shopping or run errands with them—they'll appreciate your company. 3. Eat a meal together. If you still live with your parents and siblings, it can be easy to take them for granted. Every week, choose one mealtime when your whole family eats together, for at least 20 minutes, and talk. No distractions allowed! Turn it into a ritual: Perhaps you and your sibs take turns preparing the family meal. 4. Have a date night with your… kids. Cater to their interests by doing it with them. Watch a silly movie with your eldest, while hold a videoke session with your youngest. At the end of the day, it’s your presence that matters, not your ability to hold a tune. 5. Have a family day indoors. Trooping to the nearest mall to eat out and window-shop is fun, but it literally comes with a price. Instead, stay in and hold a potluck brunch with your siblings, sans the kids and significant others. It will give you the freedom to talk, bond, and not mind the time. When you step out of your home, it gives you peace of mind to know that your family is just a call or a text away. 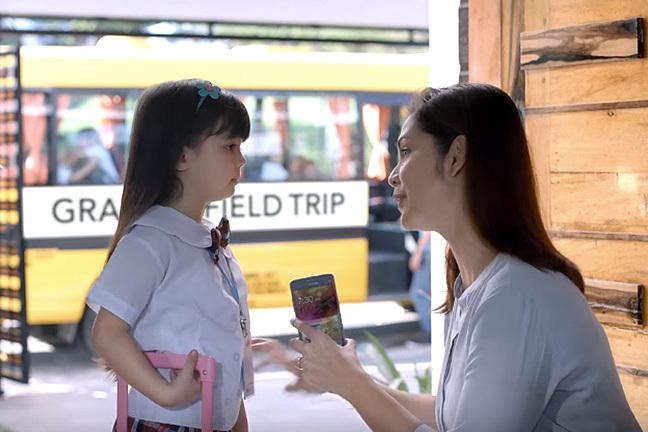 PLDT HOME Speedster Fam Plan 1299 helps you go a step further by giving you the power to #ShareTheConnection with your family, wherever they may be. This plan offers five times faster speeds of up to 10 Mbps and a monthly data allocation of 50 GB, and also allows you to share the data with your loved ones. That opens up other ways to connect with them other than constant messaging and social-media updates. You can share not just text and photos but also video clips of memorable moments beyond the home. For more information on PLDT HOME Speedster Fam Plan 1299, go to www.pldthome.com. This article was created by Summit Storylabs in partnership with PLDT HOME DSL.